Clive Ponting case: Where is the investigators' report? 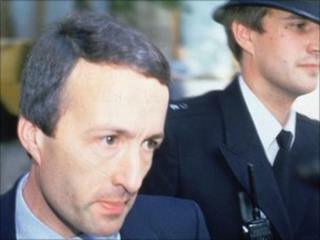 In 1985 the Ministry of Defence official Clive Ponting was tried for passing secret papers about the Falklands War to an MP, but acquitted when he argued the leak was in the public interest. It was one of the most controversial and dramatic court cases in the history of the Official Secrets Act. For 15 months the BBC has been pursuing freedom of information applications to try to find out more about the prosecution, but the key documents are proving hard to come by. Mr Ponting believed that ministers had misled Parliament over the circumstances surrounding the sinking of the Argentinian warship, the General Belgrano, by the Royal Navy. He sent MoD internal documents to the Labour MP, Tam Dalyell, a vociferous critic of the way Margaret Thatcher's government conducted the war. In February last year the BBC asked the Metropolitan Police for a copy of the Senior Investigating Officer's report on the case. The Met refused, on the grounds that it contained personal information and also that revealing details of police methods could help criminals avoid detection. When we appealed against this, the Met proceeded to carry out what it called a "thorough review" of the case and then decided to uphold the argument that releasing this material was against the public interest. Matters took a puzzling turn, however, when we then complained to the Information Commissioner. We argued that the passage of time meant any likely damage to police operations would be much reduced, while the high profile nature of the case increased the public interest in disclosure. Not surprisingly, the Commissioner's staff generally like to read a document before deciding whether it is in the public interest to release it. But when they approached the Met in this case, the force then told them that it now realised that it did not actually hold any such report, even though it had previously claimed to have twice worked through the pros and cons of publishing it. I have written before about the mysterious ability of certain FOI officers to apparently assess the content of non-existent documents, a creative talent could surely have many useful applications. The Met's explanation in due course was that the FOI officer who first refused our application had for some reason only examined files relating to another request sent along with this one, while their review "was conducted by an inexperienced member of staff who has since moved to other duties". This did not impress the Information Commissioner, who concluded: "A failure to obtain or consider the actual information requested could, as in this case, result in an incorrect or inaccurate response and as such the Commissioner considers that this is extremely poor practice." The Met Police apologised to the BBC, suggesting that instead we should ask the Ministry of Defence itself for material on the Ponting case. So in November last year we asked the Ministry for a senior officer's summary report on the investigation. After nearly six months the MoD Police and Guarding Agency has replied to say that it cannot locate the information requested and that it would be too expensive to continue searching for it. So for the moment anyway we are unable to shed any further light on how and why the authorities pursued this important prosecution, which resulted in a very embarrassing outcome for the government. Yet this story illustrates the inefficiency of certain public authorities in handling freedom of information. The latest statistics show the Ministry of Defence is one of the worst government departments for delays in processing FOI applications. And both the Metropolitan Police and the MoD featured on the first list of public authorities selected for special monitoring by the Information Commissioner's Office because of their poor record of compliance with FOI requests.